Massage is a form of therapeutic treatment that mobilizes and manipulates the soft tissues of the body. It involves a combination of moving and holding the tissues while applying pressure to them. The result is an improvement in blood circulation which may help the body heal and recover from injury more rapidly. The ultimate goal is to help alleviate pain, reduce stress and tension, and promote wellness and healing of the body. Conditions that may respond well to massage therapy include: Chronic Pain, Neck & Shoulder Pain, Stress, Whiplash, Fibromyalgia, Back & Hip Pain, Headaches, and Muscle Aches & Stiffness. 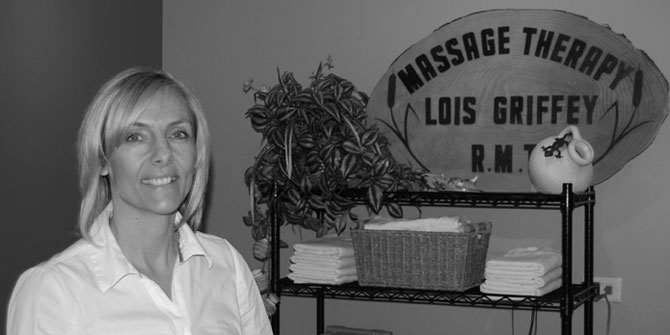 Our massage therapists, Lois Griffey and Carl Pingul, are Registered Massage Therapists which allows for some coverage through ICBC, MSP, and most extended health plans. Coverage is also available for RCMP and through the Department of Veterans Affairs if applicable. You do not necessarily need a doctor’s referral to see our massage therapist, however, to receive coverage from ICBC, MSP, RCMP or DVA, a referral will be required. For coverage through extended health plans, it will depend on your plan. It is best to check to see what your particular plan requires.